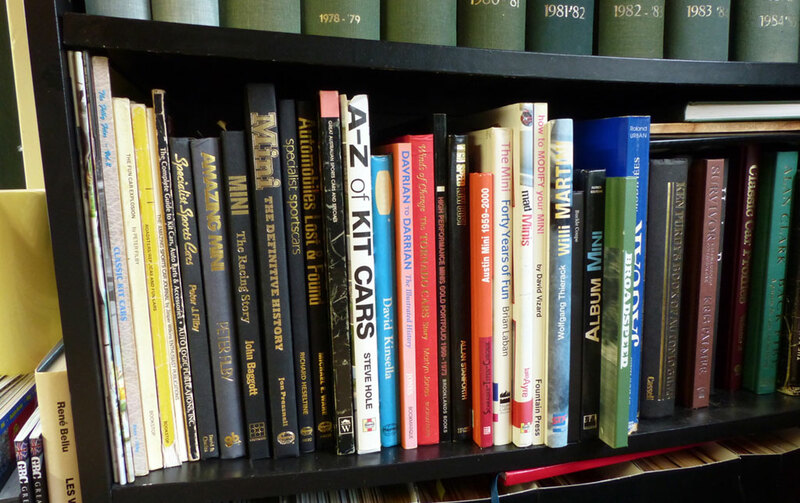 As a motoring journalist I am more of a magazine man than a book man and have been collecting piles of magazines that do not even fit on proper bookshelves anymore. Actually I should get rid of most as so many of them are not in my street. My favourite subject of obscure and kit cars remains mostly neglected among colleague journalists, who prefer fast and expensive or just mundane cars to write about. But not everyone. British hack Peter J. Filby has been a wonderful exception to that unfortunate rule and has been writing about my kind of cars ever since they came out in the 1960s and 1970s. In fact, it seems that he was the only person who cared about them, also in later days when he just continued towrite about them. In magazines in the first place, of which he published most of them himself. I have tried to complete my collection of all the titles he made but it’s not easy. So many of them came out very irregular, putting things mildly, and I am still unsure if I have them all. It seems that in some cases, if there were troubles with one title, he just stopped it and carried on under a new name. But he made a few books, too, and these remain the gems on my bookshelves. They may be flimsy and don’t look very appealing. But they have pictures – unseen in any other book, while the information is very in-depth and entertaining, too. There’s simply no doubt that Filby was on the forefront of those cars at the time.I have interviewed quite a few designers and builders of these ‘cottage industry’ cars in the past decade or so and some of them didn’t remember too much, too well, about their own heritage. Some advised me to ask Filby how it really went! I did so a few times, and he was very kind and gave me some good advice. One day, I had to wait for an hour or so before an appointment and found myself in the village where he lives. I looked up his address and drove to the place. The front garden was full of mossy old kit cars, but unfortunately the man was not there.